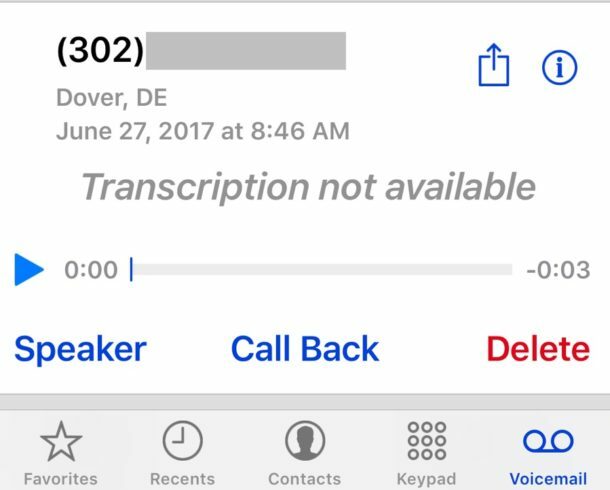 For many iphone 7 users Voicemail transcription is not working after iOS 11. The visual transcription just “disappeared” from Iphone 7 plus and other iPhones as well after the upgrade to iOS 11 and latest iOS 12. There was no issues prior to latest iOS 12 / iOS 11 upgrade and the issue started to happen after iOS 11 upgrade only. 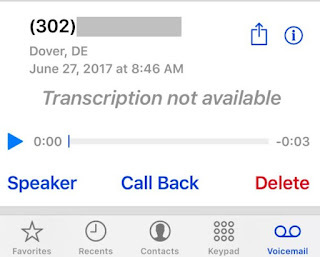 Visual Voicemail has been available on our iPhones from long backs since 2007. As you may know that visual voicemail is a carrier service provider and the Visual Voicemail feature has some carrier constraints. If you recently switched your cellular plan, you may want to check out if your new carrier supports this feature in your country of residence. Go to Settings> Suri & Search >turn on "Press Home for Siri". Then do a reset (hold home button and on/off button at the same time for 10 seconds). After this the visual voice mail will work gain and now you can turn off the above settings..
As mentioned voicemail transcription is carrier provider service, so always make sure that you are on the latest carrier service update (Tap on Settings > General > About and check next to Carrier). To do so you can ask you carrier service provider for updates. Call Forwarding setting in you iphone typically overrides your voicemail system. So make sure that you are not using a Call Forwarding service to transfer calls onto another number. If this is the case, those missed calls with Voice mail are not going to show up on your visual voicemail. Quite possible that after the upgrade the iPhone is not able to access the voicemail. In such cases, lease re-enter the password settings>phone>change voicemail password .please restart your iPhone and reset network settings, it may help to get visual voicemail back. Next steps should be to reset your voicemail password, Try to Reset your Visual Voicemail password. This is the password that you have setup with AT&T or Verizon. For this you can simple call the service providers or reset voicemail password from portals. Visual Voicemail requires that you have a strong cellular connection, please make sure you have good signal or test with WIFI network to load the voicemail trasncripts. Please let us know if this helped you and if you have any questions or comments below.